Growing bored of re-watching the same ol’ K-dramas? Grab your popcorn and tissue box, because we’ve rounded up a brand new list of must-watch shows for your viewing pleasure. Happy bingeing! What it’s about: Based on the infamous US expedition to Korea in the late 19th century, Mr. Sunshine tells the tale of an unlikely romance between a runaway servant boy and an upper-class girl. Against a backdrop of sinister conspiracies and bloody warfare, this Shakespeare-esque love story of Eugene Choi (Lee Byung Hun) and Go Ae Sin (Kim Tae Ri) will bring you on an emotional rollercoaster right from the beginning. Brought to you by the creators of the iconic Descendants of the Sun and Goblin, this upcoming drama promises to tug on your heartstrings just as much. Mr. Sunshine is available on Netflix from 19 July onwards. #2 WHAT’S WRONG WITH SECRETARY KIM? What it’s about: If you’re a sucker for the “rich guy falls in love with poor girl” trope, then you’re gonna love What’s Wrong With Secretary Kim?. The rom-com series follows a narcissistic Lee Young Joon (Park Seo Joon), the young vice-president of his family’s company, who unknowingly falls in love with his secretary, Kim Mi So (Park Min Young). After nearly a decade of insisting on a “business relationship”, will he finally fess up to his feelings for her? What’s Wrong With Secretary Kim? is available on Viu. What it’s about: Does first love = true love? Come And Hug Me follows the budding relationship of two high school sweethearts, Do Jin (Jang Ki Yong) and Jae Yi (Jin Ki Joo), who are torn apart after Do Jin’s psychopathic dad murders Jae Yi’s parents. Years later, the two cross paths again – Do Jin now a rookie detective and Jae Yi an aspiring actress. Can they overcome their tragic past, or is history doomed to repeat itself? Come And Hug Me is available on Viu. What it’s about: You’ve probably already seen its American counterpart, but the Korean adaptation of Suits promises to be just as good. Go Yeon Woo (Park Hyung Sik) possesses a photographic memory and extraordinary IQ, but his dreams of becoming a lawyer are dashed thanks to his poor family background. A disheartened Yeon Woo settles for a job as a parking valet, but after a series of coincidences, finds himself in the office of Choi Kang Seok (Jang Dong Gun), a legendary lawyer in the prestigious Kang & Ham Law Firm. Impressed by Yeon Woo’s talents, Kang Seok takes a leap of faith by hiring the amateur legal genius. Suits is available on Viu. What it’s about: A contemporary spin-off of the Chinese classic Journey to the West, this Netflix original calls to question the true nature of good and evil. Son Oh Gong (Lee Seung Gi) can never die and wanders the earth in exile as punishment for his past mischiefs; Jin Seon Mi (Oh Yeon Seo) is a real estate CEO who saved Oh Gong many years ago. The two come face-to-face again in a chance encounter, and an epic love story ensues. A Korean Odyssey is available on Netflix. What it’s about: If you’re in need of some good ol’ fairytale romance, this one is for you. Happy-go-lucky Yoon Jin A (Son Ye Jin)’s life seems to be going as planned, except for one thing: a missing soulmate. But her prince charming is closer than she thinks – enter Seo Joon Hee (Jung Hae In), a dashing young man who just so happens to be the brother of Ye Jin’s best friend. Cue lots of heart-fluttering, swoon-worthy moments as Jin A begins to see Joon Hee in a whole new light! Something in the Rain is available on Netflix. What it’s about: Nam Shin (Seo Kang Joon), who is the heir to a large company, lies comatose in the hospital after a tragic accident. In an attempt to protect his son’s image, his mother exploits her authority on brain science and artificial intelligence to create Nam Shin III – an android that is the spitting image of Nam Shin. Kang So Bong (Gong Seung Yeon) becomes the bodyguard for the new Nam Shim, but as time passes, her feelings for Nam Shim III grow more and more complicated. A unique love story that ultimately leads you to question: what really makes a human, human? Are You Human? is available on Viu. What K-drama are you currently hooked on? Let us know in the comments below! C-pop might’ve taken a backseat in recent years thanks to the emergence of Korean pop culture, but it seems like it’s about to make a comeback in a huge way. Leading the pack is NEX7 (乐华七子), a new seven-member group formed by music giant Yuehua Entertainment. Despite only making their debut yesterday (21 June), these talented lads are well on their way to superstardom over in China. Before they take over the world, here’s everything you need to know about this rising boy band. #1 They already have a massive fanbase. You might recognise them from Chinese survival reality show Idol Producer (think China’s answer to South Korea’s Produce 101). 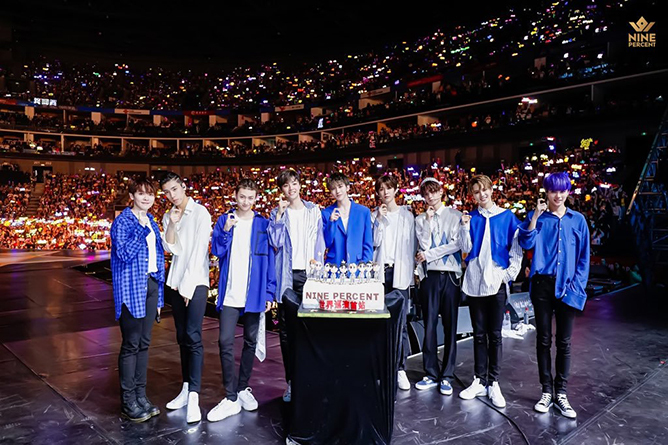 All seven boys participated in the programme, but only three of them – Fan Cheng Cheng, Justin Huang and Zhu Zheng Ting – snagged a spot in the Top 9 with a combined vote count of 42 million, promptly making their debut in the project group Nine Percent. Although the other Yuehua trainees didn’t make it into the final lineup, each of them garnered quite a following for their individual charms as well. #2 Three of them are already part of a boy band. #3 Remember Justin and Jung Jung? Avid fans of Produce 101 might also be familiar with Justin and Zheng Ting, who took part in season two of the South Korean talent competition in 2017. Although both were regrettably eliminated, it turned out to be a blessing in disguise – look where they are now! We’re glad they finally got the recognition they deserved (even though a part of us kinda miss their interaction with the other Yuehua sprouts). #4 They come from prestigious backgrounds. 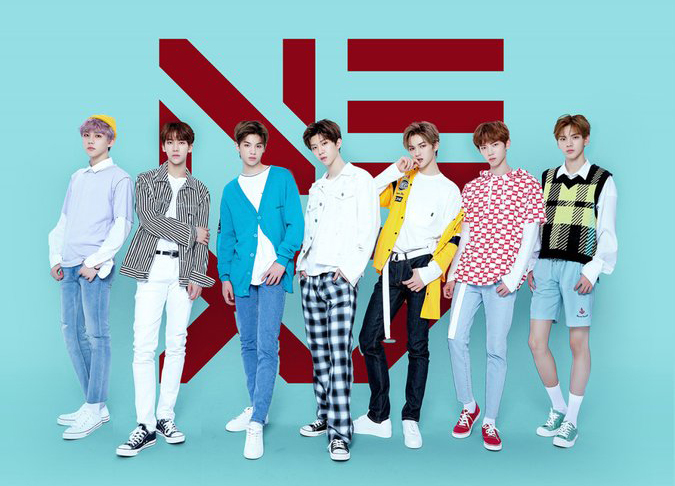 NEX7 is the newest boy group under Yuehua Entertainment, one of the biggest music companies in China with major artistes such as Han Geng, UNIQ and more under their wing. They’ve also expanded their Korean branch operations in 2016 and currently co-manages Cosmic Girls with Starship Entertainment. Fun fact: Cosmic Girls’ Cheng Xiao was NEX7’s dance mentor on Idol Producer! #5 They received training in Korea. As Yuehua Entertainment is based in both China and South Korea, it makes sense that the multinational company would send their trainees for formal training in the latter country. In fact, the boys are pretty proficient in Korean too. Prior to joining Yuehua, Ze Ren was a former trainee at SM Entertainment along with the NCT kids – and chances are, he’d probably have debuted with the K-group. #6 They have a bond like no other. It’s no secret that the NEX7 members are super tight-knit with one another, evidenced by their endless shenanigans on Idol Producer – and it’s certainly not for show. Who could ever forget the time when Zheng Ting and Justin casually rocked facial masks to dance practice, or that heartbreaking moment when Wen Jun broke down in the arms of the other members after the ranking announcement? Pass the tissues, please. #7 Wait a minute, they debuted?! NEX7 just dropped their debut album The First, led by the title track ‘Wait A Minute’ – and boy, is it a bop. A straight up hip-hop number, ‘Wait A Minute’ will get you hooked instantly on its bombastic beats and the not-so-occasional ‘woos’ and ‘skrrs skrrs’. Decided to stan NEX7 yet? Drop ’em some love in the comments below! 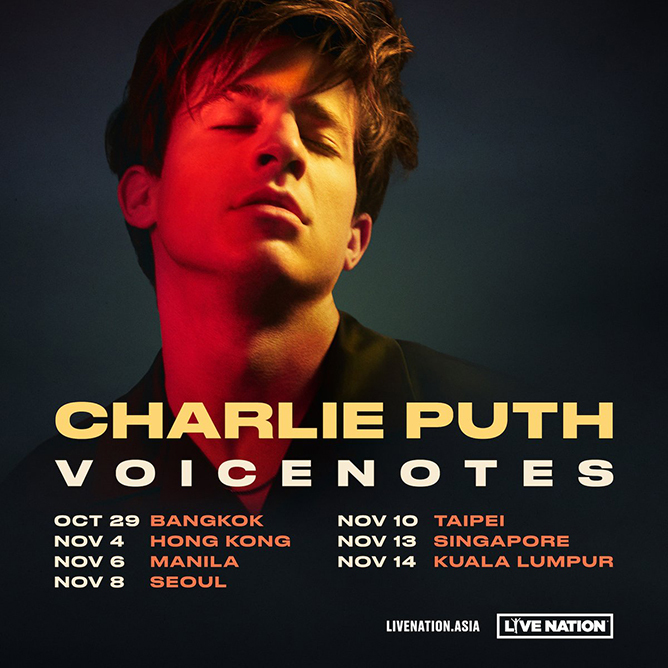 Charlie Puth Is Bringing His Voicenotes Tour To Singapore This November! What a crazy year it has been for Charlie Puth, who not only celebrating the success of his first entirely self-produced effort Voicenotes – but the burgeoning pop star’s also taking it on the road with his third headlining tour. Shortly after opening for Shawn Mendes on his Illuminate World Tour, the ‘Attention’ crooner announced his own concert tour with Hailee Steinfeld as his supporting act. The live extravaganza is set to kick off in Toronto this July, before making its way across 32 cities in North America and finally – Asia. The singer-songwriter has just revealed that he will be embarking on a seven-stop trek across the region in October and November, which will include a show in Singapore on 13 November! Tickets for general sale will go on sale 28 June, 10am via livenation.sg, while the pre-sale for Live Nation members will begin 27 June, 10am (register here for pre-sale access befpre 25 June, 6pm). For 5 Seconds of Summer, these past few months have been a non-stop blur of success. Staging a whopping comeback with their third studio album Youngblood, the Aussie rockstars quickly became the top act in their home country. Currently the only band ever to have two full-length records entering the Billboard charts at #1, it’s no doubt 5SOS’ newest effort will be just as well-received. “The making of Youngblood was nothing short of an ultimately transformative experience, for every single member of 5SOS,” wrote the quartet when they released the title track to thank fans for their unwavering support. 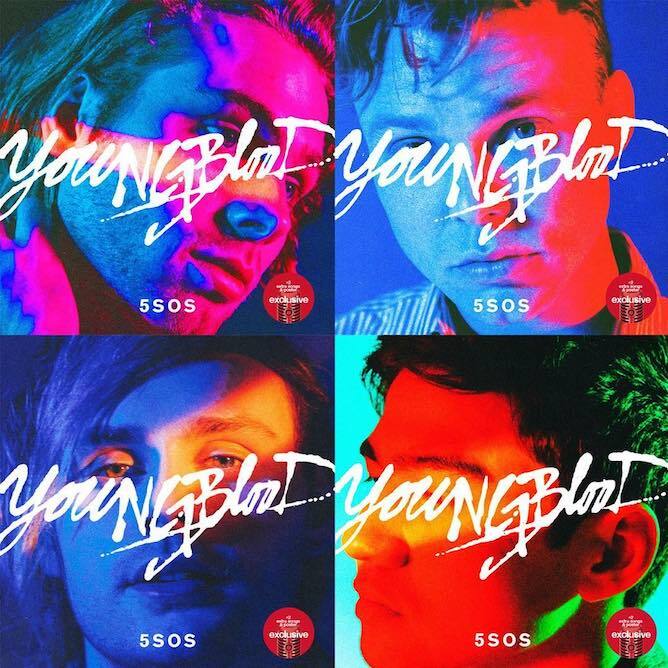 Having grown out of their pop-punk beginnings, the 5SOS you hear in Youngblood boasts a completely different sound riddled with experimental pop-rock elements and addictive synth beats. “One of my favourites. Never been more proud of anything,” frontman Luke wrote, and there’s no doubt why. Subdued and vocally-restrained verses slowly build up the momentum, which then bursts into a rhythmic chorus that can only be described with one word – powerful. This head-banging single gave us a taste of the band’s newly-honed songwriting skills. Diverging from their cheeky lyrical delivery in Sounds Good Feels Good, ‘Want You Back’ introduces a more mature and laidback production, complemented with a groovy bass line that keeps us hooked on every verse. According to drummer Ashton, this was the last song on the album to be written – when “[the band] had an entire body of work just sitting there” and were wrecking their brains for the perfect single to present it. Guess the best masterpieces come from serendipities! A soundtrack for the broken-hearted, ‘Lie To Me’ is about figuring out how to move on in the aftermath of a bad relationship which, as Ashton says, “the other person is in it for reasons that you aren’t”. Some fans have pointed out that it seemed to be a sequel to ‘If You Don’t Know’, with its similar lovesick rhetorics and whimsical riffs. But in this one, you get a more matured take on heartbreak with melancholic lyrics that everyone can relate to. ‘Valentine’ makes use of intense – almost creepy – lyrics as a hyperbolic representation of the obsession that ensues when you fall in love with someone. Sappy lines sung with drunken melodies spur that oh-so-familiar feeling of helpless adoration reminiscent of young love. Fans of the goth and post-punk era will feel right at home with this one. ‘Talk Fast’ is arguably the one of the funkiest songs in Youngblood – just try to not groove along to this catchy tune! Just like its spitfire tempo, this upbeat number seems to be reflective of the breakneck speed that the boys’ lives have been moving at lately – what with non-stop touring and back-to-back shows. Lines like “I’ll take what I can get from you” are sung breathlessly, blending the words into one fleeting vocal line that is strangely cathartic. A throwback to the band’s early beginnings, this song makes use of fun beats to deliver heartbreaking lyrics, punctuated with humorous lines like “Is it bad that I’m wishing you’re so broken? That you haven’t found fish in the ocean”. Much like ‘Heartbreak Girl’ and ‘Beside You’, it seems like Youngblood is just as centred around girl troubles – but with less goof and more maturity. The boys have certainly been ‘Moving Along’ (sorry, we had to) from their angsty teenage days. An emotional and unapologetically vulnerable track, ‘If Walls Could Talk’ is the epitome of the new 5SOS. Still musing about the same grievances featured in their previous albums, the band has taken that remorse and added a refreshing, spunky twist to it – and we’re not complaining. Looking back on their musical evolution, it seems only natural that they have progressed towards dark electro pop in some of their newer tracks, and ‘Better Man’ is one of them. Luke’s acrobatic vocals transition smoothly from suave and lilting in the first few verses, to assertive and smouldering in the choruses. Ashton once said that being in a band means you never really grow up, but the lads have certainly found a way to do so without losing their boyish charm. Vocally dense and instrumentally heavy, ‘More’ has just the right amount of swagger to please our rock-lovin’ hearts. Michael’s commanding power chords, Calum’s ground-rocking bass line, Ashton’s lively drumming and Luke’s soulful vocals make this track complete. Luke’s trademark ’80s falsetto vocals are peppered throughout the entire album, but his soaring notes in ‘Why Won’t You Love Me’ might be his best yet. This song is proof that 5SOS is one of the few bands that can still pull off a Petrarchan lover track, without coming off as too whiny. And of course, we have the obligatory “travelling rockstar wakes up in a new place every morning” trope. Luke sings about – you guessed it – waking up in Japan, but “feeling low, feeling lonely”. It paints a vivid picture of a lonely musician partying away his woes, feeling dissociated with everything around him. Despite the glamour of life on the road, it appears even the best rockstars need a place to call home sometimes. If you need a badass new addition to your playlist, you’re gonna love ‘Empty Wallets’. An evolution of ‘Waste The Night’, it explores the familiar themes of partying all night and not holding back on a good time – reminiscent of the band’s adolescent “long hair, don’t care” mentality. Roll those car windows down and turn up the volume on this tune on your next road trip! You might’ve already guessed from its title, but this song will break your heart in many ways. Opening with a sombre guitar riff, its instrumental also incorporates delicate piano notes that make lyrics like “too young, too dumb to know things like love” all the more heart-wrenching. After the all-out pop assault of Youngblood, ‘Ghost Of You’ leaves you with a hauntingly beautiful aftertaste. Lead guitarist Michael may not have many lines in Youngblood, but his vocals in ‘Monster Among Men’ more than makes up for it. A reappearance of the demons from his solo in ‘Jet Black Heart’, it features stripped verses bursting into a pounding chorus, mimicking the polar mood swings that caused him to hurt a loved one over and over again. And if you think Michael’s shining moment only lasts as long as the first verse, you’ll be blown away by his epic guitar solo later on! If you’ve ever been in a long-distance relationship, ‘Meet You There’ is the perfect anthem for you. Something along the lines of ‘Close As Strangers’, this lively ditty speaks about two lovers leaving their fate up to the stars. The most iconic part of this track however, is when the beat drops and a dubstep-like mix comes on (just listen to it, and you’ll know what we’re on about). The final song in Youngblood (not counting hidden bonus tracks) is testament to how far 5SOS can push their songwriting and composing prowess. Alluding to the ancient Mesopotamian city, ‘Babylon’ depicts the story of a thriving civilisation that was destroyed at the hands of the Assyrian Empire. It draws parallels of this defeat to a deteriorating relationship, telling you to face the painful truth: “We said we’d both love harder than we knew we could go, but still the hardest part is knowing when to let go”. 5SOS couldn’t have picked a more fitting track to bring the album to an anthemic close. 5 Seconds of Summer’s third studio album Youngblood (Deluxe) is now available for streaming and purchase. 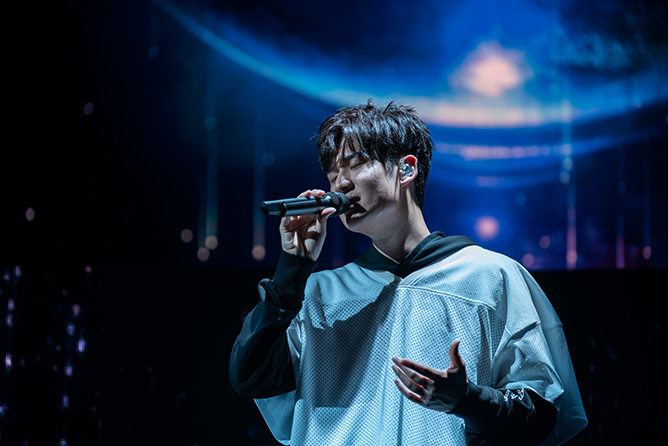 When Eric Chou first broke onto the Mandopop scene, the 19-year-old was fresh-faced and bright-eyed with a penchant for romantic tunes. The formula worked like a dream: spawning a consistent string of karaoke staples that would inevitably turn an Eric Chou concert into one massive singalong sesh. Four years later, the Taiwanese singer-songwriter seeks to reinvent himself with an EDM-infused record, yet stays close enough to his balladry roots to not alienate his signature charms. His sharp stylistic turn was apparent when he hit the stage for his sold-out 22PLUS 2018 Asia Tour, filling his set with climatic beat drops, pulsating lights and slick dance moves right from the get-go. Although the audience appeared a little lukewarm at first, Eric had everybody warmed up in no time. “How was my dancing? I wanted to have a swag vibe,” Eric addressed the 5000-strong crowd, to be met with a chorus of cheers. However, as much as we love his new musical direction, ballads are undoubtedly what the crooner does best. It didn’t take long for the familiar piano sounds to make their entrance as he proceeded to give fans exactly what they wanted – a heartfelt medley of crowd favourites including ‘The Chaos After You’, ‘How Have You Been’ and ‘Let’s Not Be Friends Anymore’, which quickly infected the audience into singing along to every single word. 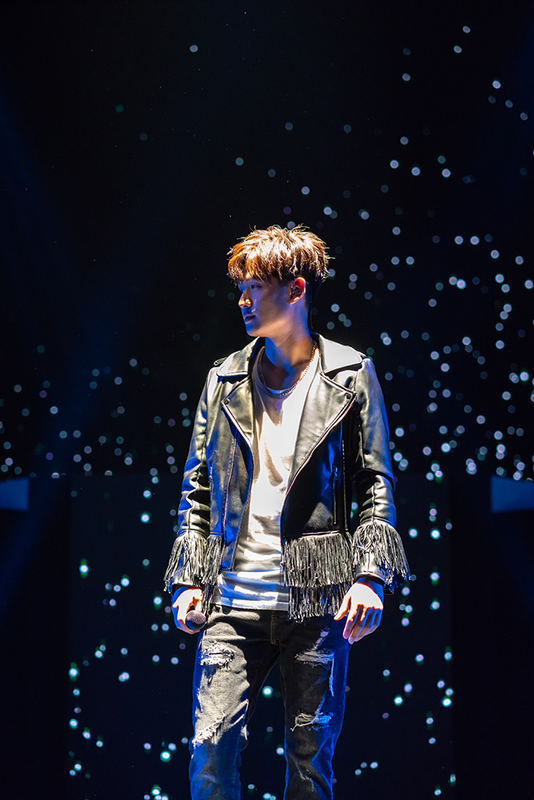 As if that’s not enough to whip everyone into a frenzy, Eric went full-on heartthrob mode as he leaped off the stage to interact with fans during ‘The Way You Made Me Feel’. It wasn’t even a heartbeat later that he got mobbed by the stampede of fans, who spared no hesitation in jumping out of their seats to get a glimpse of him. Perhaps the highlight of the night was when his fellow musician brother Alex Chou (also known as AC周予天) made a surprise appearance, and the duo even did a duet together. The multifaceted rapper also performed two of his solo tracks, bringing the show to an all-time high. 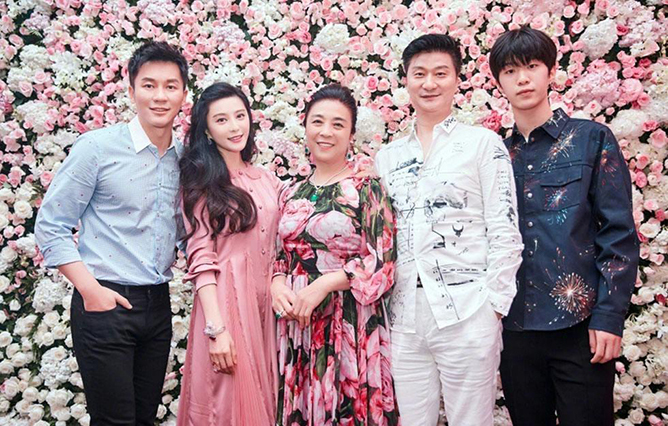 What else can we say, talent indeed runs in the Chou family! Hours went by in a flash as all good times do, leaving all of us in the best place possible – wanting more, and more. At the end of the day, there’s no doubting Eric’s musicianship. This is truly only the beginning of a brilliant performer who has so much more to deliver, and we can’t wait to be surprised yet again the next time he visits. Check out our past interview with Eric Chou where we picked his brain on the first album he bought, the song he’ll sing to confess his love and more!